We are now well into the “holiday season”. Yay! I know Thanksgiving has barely come and gone, yet Christmas is barely three weeks away. And my main celebration comes even sooner since I celebrate with my family the weekend prior. Yikes! I started my baking ramp up last week. This week I’m trying to get into production mode. 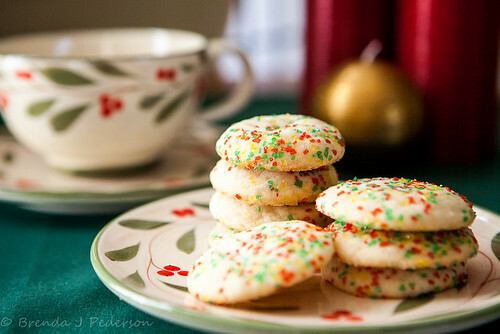 This recipe is one I always make early in my holiday baking. It comes together easily and makes a pretty big batch of cookies which makes it an easy win and gets me motivated to do more. 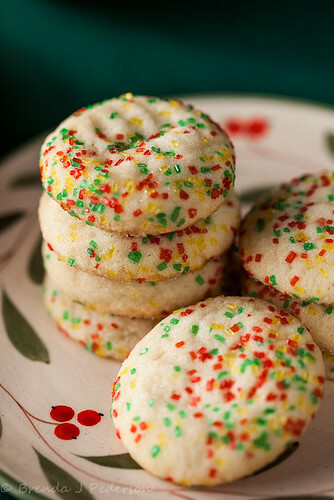 I have no idea why these are “Tennessee” Sugar Cookies but that’s what they’re called. A million or so years ago one of my cousins brought these to a summertime family gathering. I fell in love with them immediately and when she gave me the recipe card – because in the olden days that’s how we shared recipes! – that was the name on the card. The original version was rolled in granulated sugar. 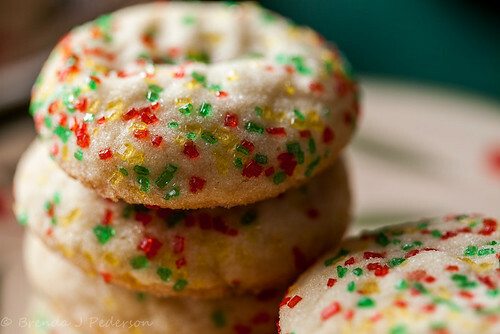 For my Christmas version I roll them in a mixture of granulated sugar and various colored topping sugars, aka sprinkles. At one point I tried using all sprinkles but found that was a little bit of overkill. Give these cookies a try – they melt in your mouth and are perfect with coffee, tea or a big class of cold milk. Cream margarine, vegetable oil and sugars until light. Add vanilla and eggs. Sift together all dry ingredients and then add a little at a time to mixture until entirely incorporated. Shape into 1” balls, roll in sugar (or a mixture of sugar and colored sprinkles), place on baking sheets and then press down lightly with a fork. Bake at 375° for 10 – 12 minutes.